Pogoplug Mobile is a new hardware device that enables streaming of photos, music and video libraries from home to smartphones and tablets, and offers automatic, secure backup of mobile content. Pogoplug Mobile serves as a mobile cloud companion, freeing devices from storage limits and offers unlimited sharing, instantly and privately. Pogoplug Mobile’s extreme multi-media capabilities are optimized for iOS and Android devices. Pogoplug Mobile offers Android users a unified streaming and sharing service and enables automatic home backup of all photos, movies, music and other documents. 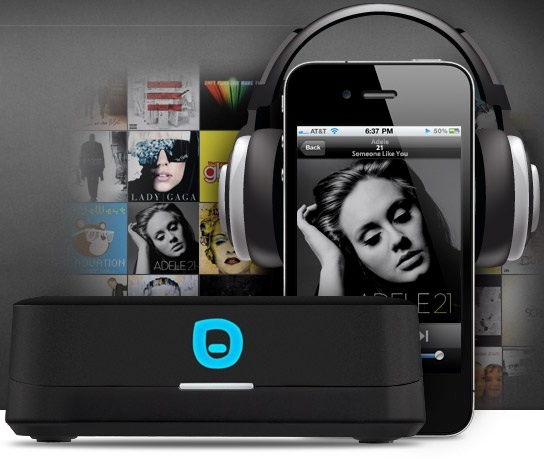 Pogoplug provides iOS users with unlimited, instant streaming of entire media libraries. “People today have an almost unlimited need to create and consume multimedia content on their mobile devices,” said . “Unfortunately, their devices just can’t keep up; mobile storage remains too expensive. Pogoplug Mobile solves the mobile storage problem by providing an incredible streaming and at-home backup solution that turns any mobile device into an limitless media library,” said Daniel Putterman, CEO and Founder of Cloud Engines, creators of Pogoplug. Pogoplug Mobile will be available in October 2011 for $79.99.